Our body needs many kinds of foods to keep it strong and healthy. Do you know what your body gets from the foods you eat? How can you find out? The front of the food package may look very nice, but is that food good for you? 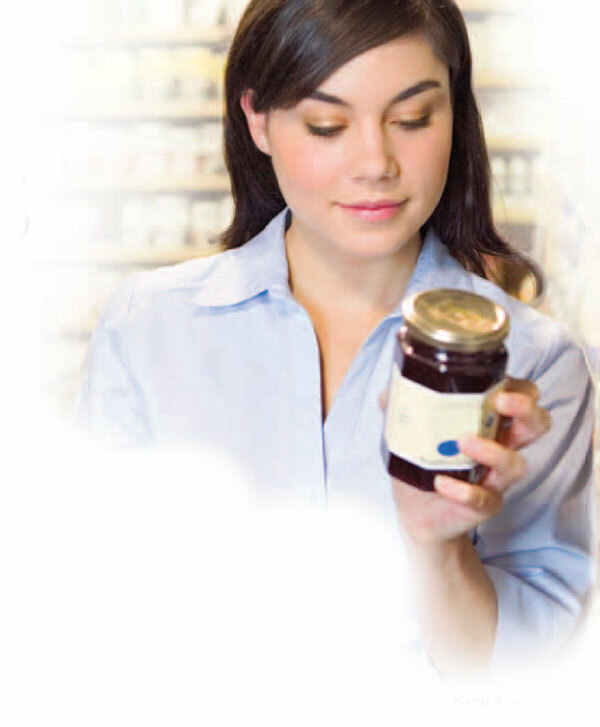 To find out, look on the side or the back of the package, where you will see a Nutrition Facts label. There is a lot you can learn from the information there. Here is a guide to what you should look for. This number will be at the top of the label. It tells you what your body gets if you eat that amount of food. For example, if you buy a can of tomato soup you may see that the serving size is 1 cup. All of the numbers found on the label are for 1 cup of the soup. Let’s say there are 100 calories in 1 cup of tomato soup. But what if you eat two cups? There will be 200 calories in 2 cups of tomato soup. This number is right below the serving size. It tells you how many portions are inside the package. For example, there may be one, two or maybe more servings per container. This helps you decide how much of the food to eat. ➊ Look for a short list of ingredients. ➋ Know your serving size (portion). ➌ Pick the package with less fat, cholesterol, sugar and sodium. ➍ Pick the package with more fiber, vitamins A and C, calcium and iron. 3 Calories, total fat, cholesterol, sodium, potassium, total carbohydrates, protein, vitamin A, vitamin C, calcium and iron. If you eat one serving of the food, your body will get the exact amounts listed. This information is important if you want to control your blood glucose, lose weight or eat less fat or sodium. If you have a choice of two kinds of tomato soup, you may prefer to pick the one that has less sodium or sugar, or more iron or vitamin A. 4 The list of ingredients. This tells you the foods and chemicals that are inside the item. The order in which they are listed is important, too. The item found in the biggest amount is listed first. The last food is in the smallest amount. Natural, unrefined foods have a very short list. For example, old fashioned oats has just one ingredient: 100% natural rolled oats. Natural peanut butter with no salt added only contains peanuts. These foods are very good for your body. Refined foods have a long list of ingredients with names that are hard to say. These foods may give your body many calories and very little that is good for your health. The more you read food labels, the easier it will be for you to make the best food choices.